ROME, ITALY - OCTOBER 3rd 2015: stairs Venice Square near monument in honor first king united Italy Victor Emmanuel II, Italian flags, sunny blue sky. Roman monument. 4k00:12Rome/Italy 11/02/2017 Equestrian statue of Vittorio Emanuele II Monument general view from low angle. Beautiful sunny day. Statue and monument. Landmark of Rome. hd00:11ROME, ITALY on MAY 29th: Altare della Patria in Rome, Italy on May 29th, 2015. 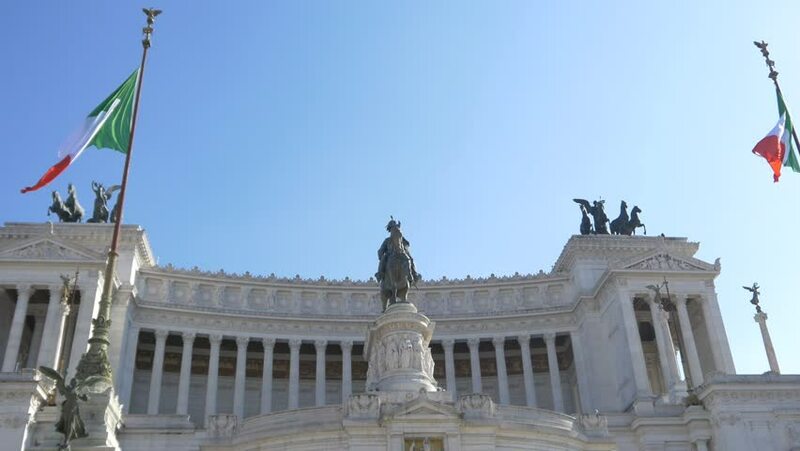 The building is a monument in honour of Victor Emmanuel, the first king of a unified Italy, located in Rome, Italy. 4k00:18St Peter's Basilica VATICAN - February 19, 2015: The square is prepared for the annual speech of the Pope. hd00:07Altare della Patria, is a monument built in honour of Victor Emmanuel, first king of a unified Italy, located in Rome, Italy. It occupies a site between Piazza Venezia and Capitoline Hill.